ATLANTA - Herschend Enterprises announced that it has acquired Pink Adventure Tours, a full-service, adventure tour company with operations in Sedona, Las Vegas and Grand Canyon National Park. Founded in 1960, Pink Adventure Tours now operates a number of quick and full-day, ground tours that provide guests with exciting, up-close encounters with the beauty and magic of the American Southwest. Pink Adventure Tours currently offers intimate guided tours, custom trips and a selection of routed tours on the Pink Fleet, which includes custom Jeep® Wranglers and Tour Trekker SUVs as well as Mercedes Benz Sprinters. Its commitment to exceptional quality and service has garnered the award for Best Ground Tour Company for seven consecutive years by the Southern Nevada Concierge Association. The purchase of Pink Adventure Tours marks Herschend Enterprises' entry into the adventure travel industry, a segment that is expected to see 46 percent annual growth rate through 2020, according to Sandler Research. Herschend Enterprises owns a portfolio of companies committed to providing wholesome, immersive entertainment. Each company offers environments and experiences that allow families to connect in meaningful ways. "Their values, structure and commitment to safety makes Pink Adventure Tours a great fit for our family of companies," said Andrew Wexler, chief executive officer, Herschend Enterprises. "This acquisition expands our business into the rapidly growing market of adventure travel and gives Herschend another opportunity to intersect with families by offering unique experiences in some of the country's most unique settings." "I could not have picked a better company than Herschend Enterprises to take the reigns of Pink Adventure Tours," said Shawn Wendell, owner of Pink Adventure Tours. "We built this company with integrity and a culture of trust, family and adventure. Herschend is a wholesome company committed to their employees, customers and community while delivering fun, safe and entertaining activities to guests of all ages. It gives me great pleasure to know that, going forward, Pink Adventure Tours will be owned and operated by a family enterprise with similar values and goals." 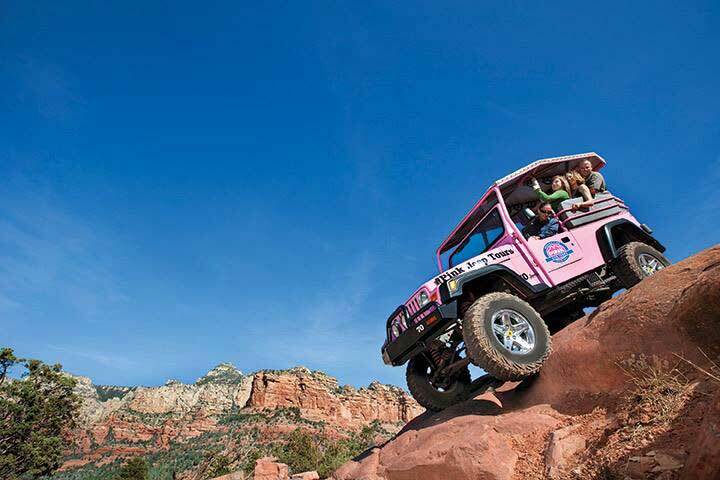 Pink Adventure Tours will remain headquartered in Sedona, Arizona, and will operate under the direction of Tim Miller as president. Αναρτήθηκε από geop στις 9:38 π.μ.